With kind permission from Ken at DX Archive we are pleased to have this file now residing on our server - enabling yet another layer of preservation. 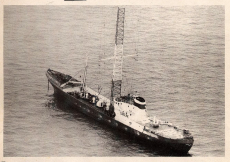 'Happy Birthday Radio Caroline' delves right back to the early days, and includes interviews with those that were there at the time. If you havent already come across this publication you'll struggle to find a more interesting account of the early Caroline years .... Thanks Ken.